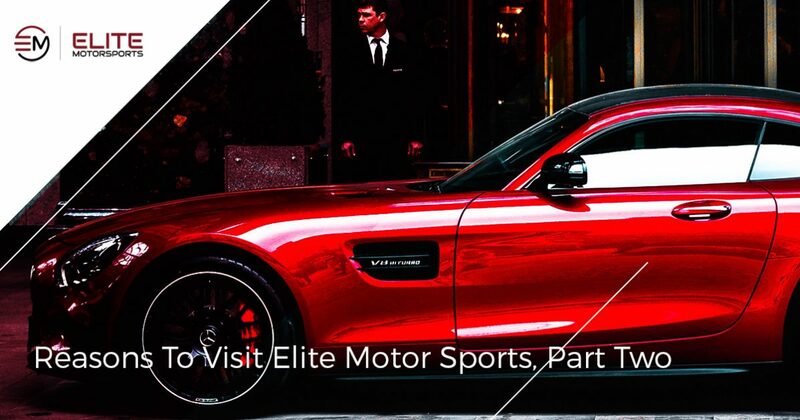 In part one of our blog series, we looked at a few reasons as to why you should visit Elite Motor Sports in Woodland today. Wrapping things up in part two, here are just a few more examples as to why you should stop by and visit our auto accessory and service shop in Woodland. We understand that, sometimes, having work done on your vehicle can be pricey. Good work will obviously cost you a bit, but we also understand that, sometimes, getting the best products and service for your vehicle may not always fit into your budget. We don’t always plan on replacing all of our tires at once, and when we find ourselves in a situation where we need to, the cost of doing so can take us by surprise. Additionally, we also don’t want our customers to not get exactly what they want, even if the services being offered may not fit into their budget at the time. With this in mind, we wanted to make things easier on our customer base, and we are proud to offer financing services for our customers. It’s easy to apply online, and you don’t need any credit to do so. We want our customers to be happy and satisfied with the products and services that we offer, and by offering them financing services, we can ensure that more people can receive the automotive products and services that they need to keep their vehicles looking great and running fantastically. As we mentioned in our previous post, we understand that customers have different preferences and needs and require different sorts of parts. When it comes to tastes and aesthetics, as well, we understand that there is no universal taste when it comes to upgrading one’s vehicle. Some people want to make upgrades that are solely performance based, while others choose upgrades that serve more of an aesthetic purpose than anything else. WIth this in mind, we are proud to help our customers customize their vehicles to their exact specifications. While offering a variety of different products and services, we can help you make your vehicle truly yours, by helping you customize it however you see fit. We know that tastes can vary and sometimes things may not always be common, so we specialize in hard-to-find and unique options to help customize your vehicle. If we don’t have what you need on site, we will do everything we can to find it. Customer satisfaction is crucial to us at Elite Motor Sports, and we work hard to ensure that you are completely happy with the service that you receive from us. Those are just a few more reasons as to why you should visit Elite Motor Sports today. Whether you’re looking for something simple, like a new set of tires, or you’re looking for more involved services, like powdercoating or suspension work, Elite Motor Sports is here to provide Woodland with the best in auto accessories and services. Visit us today!